We are offering Multi Color Stadium Chair. Auditorium SeatsMade with durable materials to give maximum seating comfort with silent tip up mechanism. Stadiums installed with PMS Auditorium seats are Calvary Convention Center (Selangor), Genting (Pahang), Mindef (Kuala Lumpur), Silver Ant. Quantum seating maximizes capacity, delivers superior comfort and ensures long-term durability. Quantum has been designed in consultation with leading ergonomists and is arguably the most comfortable seat available today. V. R. Office Needs Pvt. 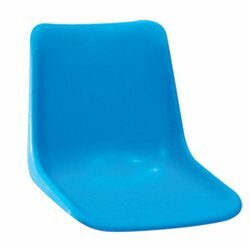 Ltd.
We are the best supplier of Stadium Chair. We provide stadium chairs at best price durable n economical. We are the leading firm of Stadium Seating Bleachers. Description : We construct world class Stadium Chairs, which are constructed using plastic and are of ultraviolet quality with latest design. The frame is built from metallic pipe and comes with waterproof laminated floor. Our chairs are available in seven different colors and are proven to bear strong weight without any complications. 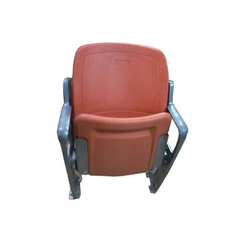 As per the needs and requirements of our clients, we are involved in providing Stadium Chair. We are involved in manufacturing and supplying of Stadium Chai across the country.